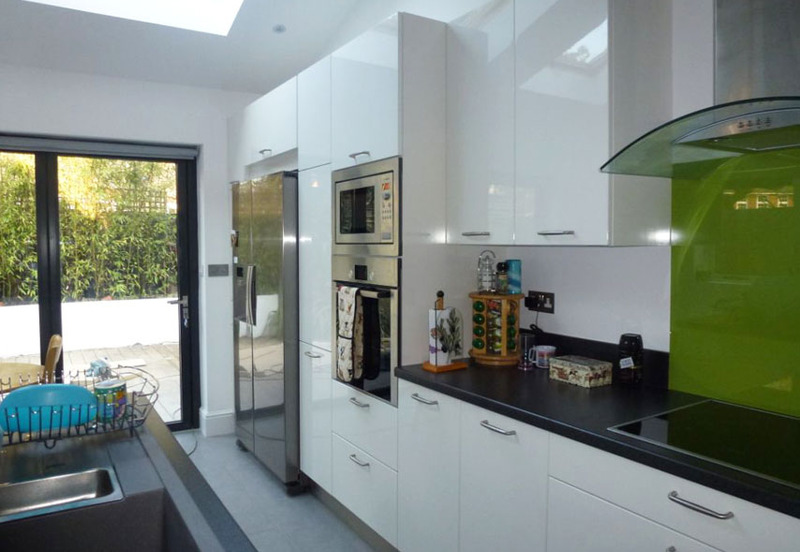 Brilliant white high gloss lacquer Veneto door from our C range. 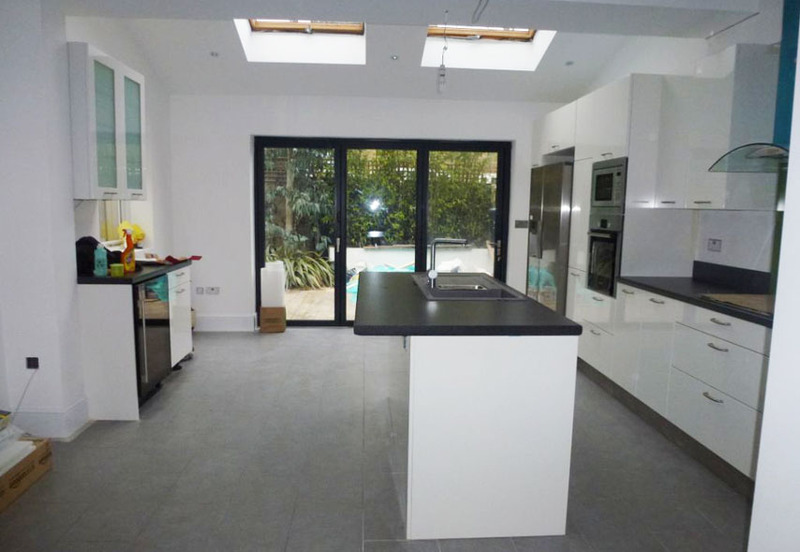 The kitchen was designed into a spacious new extension area allowing for a central island of 1840 mm wide incorporating a sink and dishwasher. 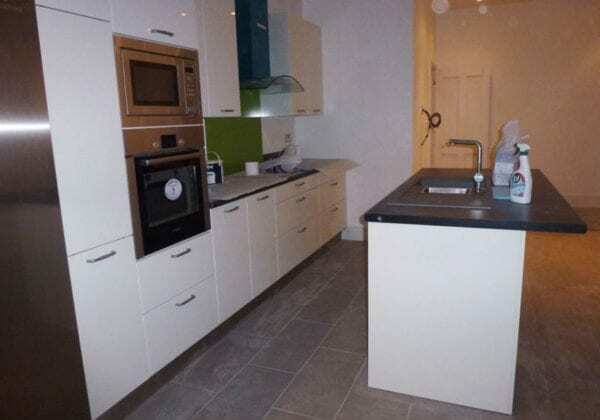 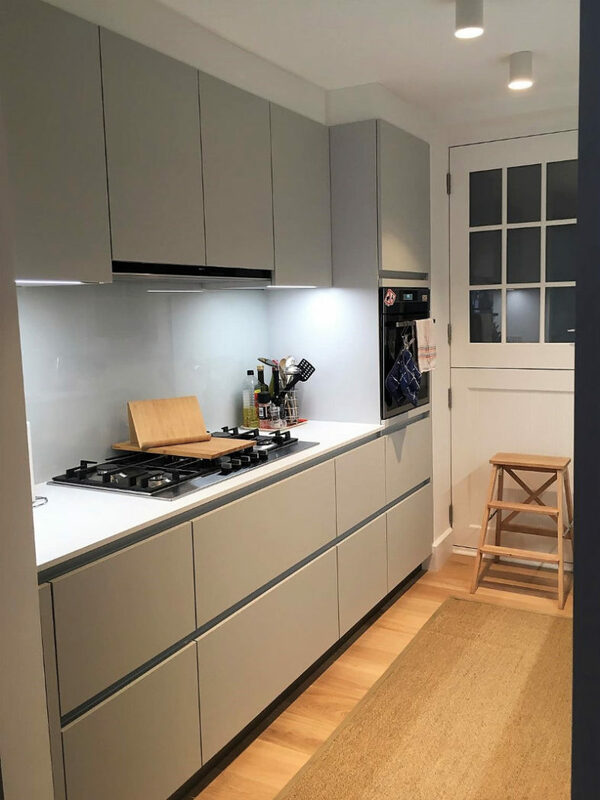 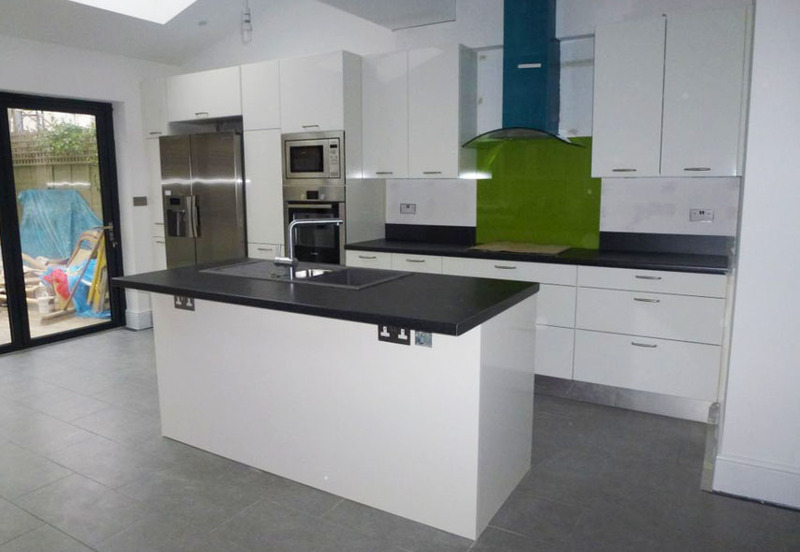 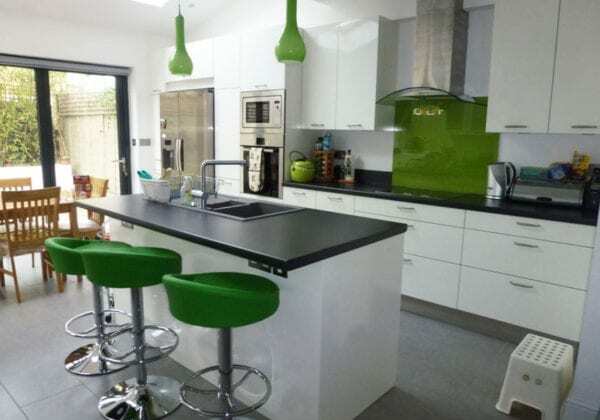 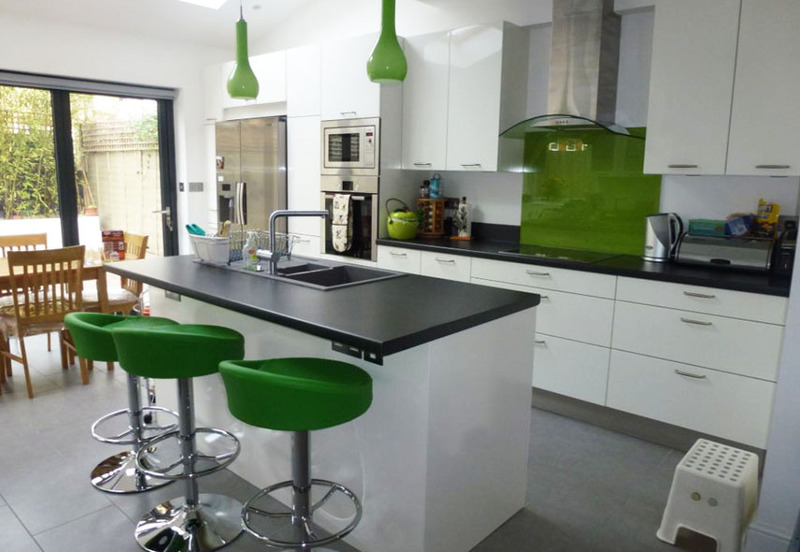 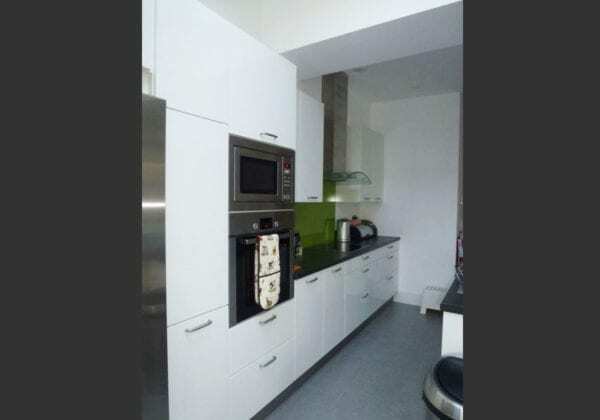 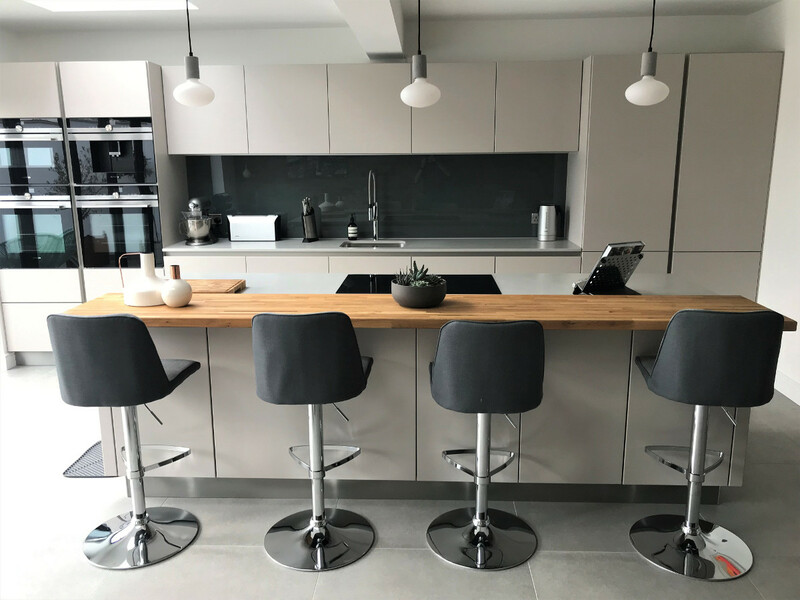 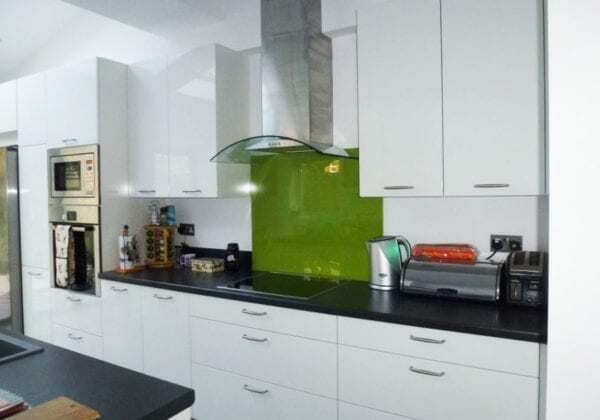 The whiteness of the units is offset by the green 6 mm thick toughened glass splashback, pendant lights and matching breakfast bar stools. 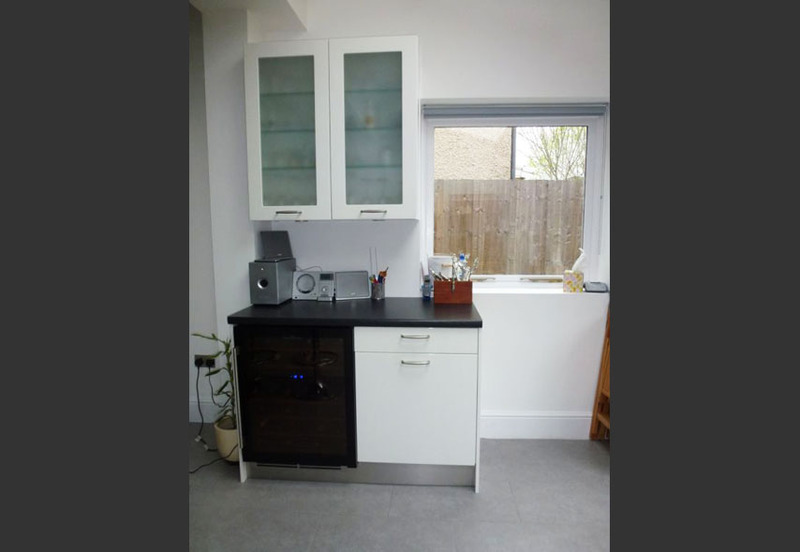 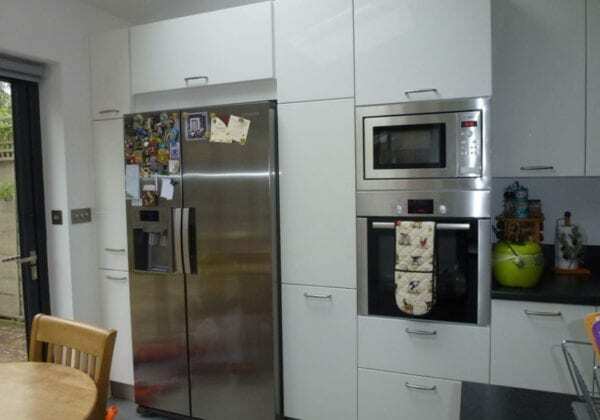 This is a dramatic transformation from a previously small and limited area.